Description: The purposes of this organization is to provide a de-stressing community of individuals wanting to learn and grow in their crochet/knitting knowledge and to provide blankets, scarves, and other materials to the homeless and needy. Description: We have served alongside volunteers from All Nations Church, which opens its doors every Sunday to the homeless and the needy in Newport News. A bus travels to pick up people in need and bring them back to a facility where they receive a delicious breakfast, a large bag of food from the pantry, medical care, clothing and a shower, and, perhaps most importantly, the knowledge that someone out there cares about them. The relationships that we have formed with the guests are invaluable. Difference Makers has also donated 100 Christmas stockings, which are filled to the brim with gifts by generous CNU students, to the Salvation Army during the past four holiday seasons. These stockings were given to local children, many of whom would not receive any other presents.We host an annual walk to raise awareness for hunger and fundraise for hunger-fighting development efforts around the world. In past years we have raised over 3000 dollars! We are always looking for new ways to serve, so if there is a service project that you fell in love with in high school or an idea that you've always wanted to share, we are excited to hear them and have hearts & hands that are ready to help! As Difference Makers, we will remain unwaveringly committed to serving those in need and striving to answer Martin Luther King, Jr.’s question in more and more ways. Description: The Food Fighters use student volunteers to deliver unused dining hall food to local homeless shelters. 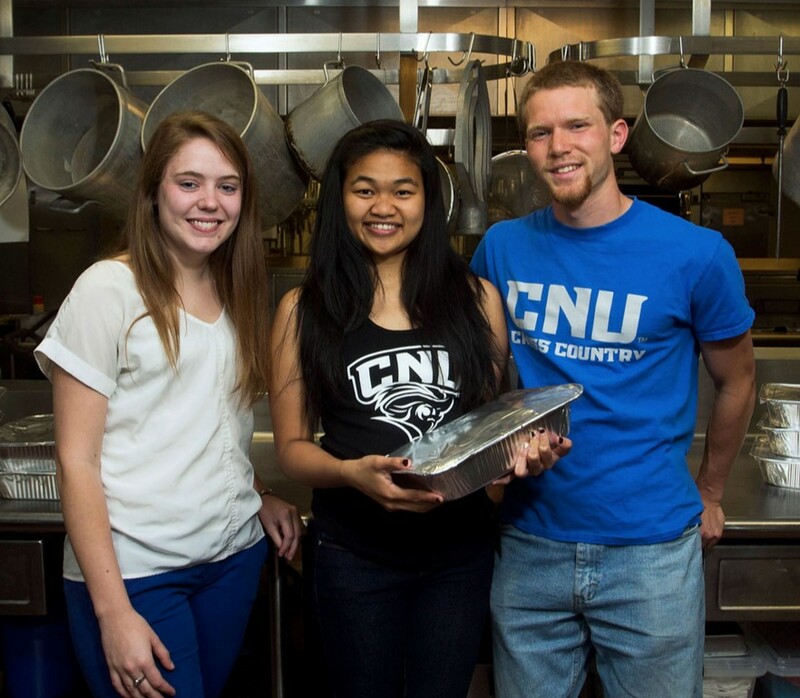 We pair CNU’s excess resources with an opportunity to do good in Newport News through the collaboration of students and staff. Organizations that partner with the Food Fighters receive healthy foods like quality meats and fresh produce that are difficult and expensive for homeless shelters to obtain. Since the program began in October, Peninsula Rescue Mission reports that their monthly food costs declined by 30%, resulting in savings of over $2,900 to date. Through the Food Fighters, human service organizations save money and provide better quality nutrition for their clients. 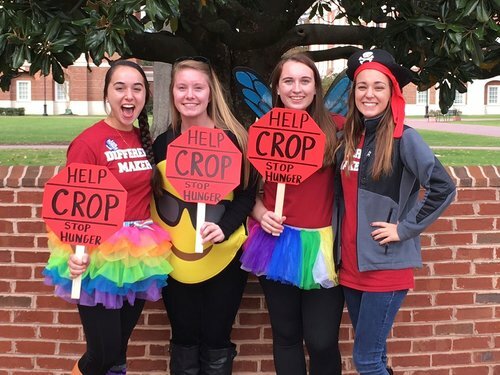 On the CNU campus, the Food Fighters collaborate with the dining staff and other student groups to create a community effort against waste. Knowledgeable dining staff members package the food in containers that the Food Co-op organization provides. Students arrive promptly at the dining hall’s closing and act as couriers, delivering food Monday through Friday during every full academic week. 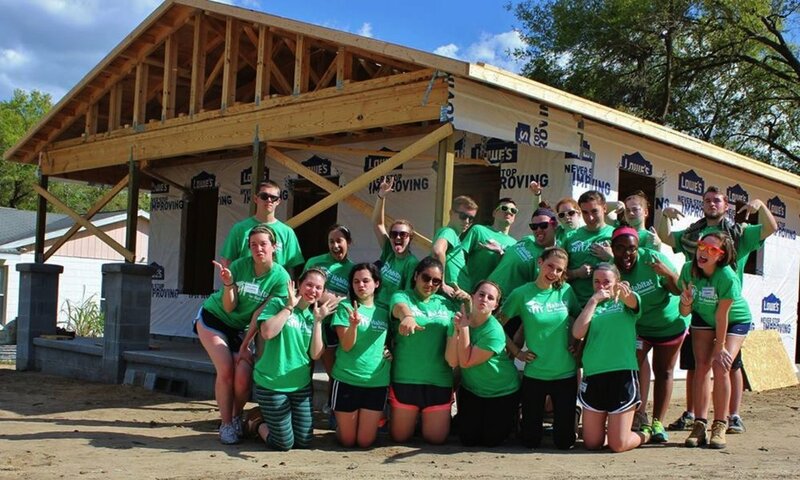 Description: The Habitat for Humanity chapter at Christopher Newport University is a terrific way to become involved in Habitat for Humanity. This club is dedicated to serving our local affiliate, Habitat for Humanity Peninsula Greater Williamsburg, through volunteerism and donations. As a club, we help build homes, work in the ReStore, and form relationships that will have a lasting impact. Being a part of this club means a dedication to helping those in substandard housing and believing that a house is more than just brick and mortar, it is a place to call home. Join our mission and help make a difference starting here on campus, the Hampton Roads community, and beyond!